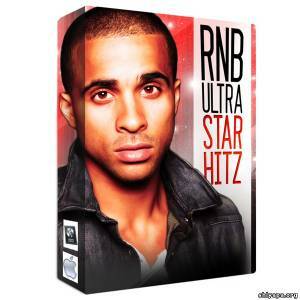 'RnB Ultra Star Hitz' brings you 5 of the highest quality Construction Kits for the ideal RnB Radio Joint, inspired by top artists, such as Omarion, Day 26, Trey Songz, Chris Brown and more. These are equipped with organised melodic and harmonic loops that are suited for Radio Type RnB. All content provides more than enough material to arrange, edit, slice, chop and cover all sounds needed to make your next RnB hit. 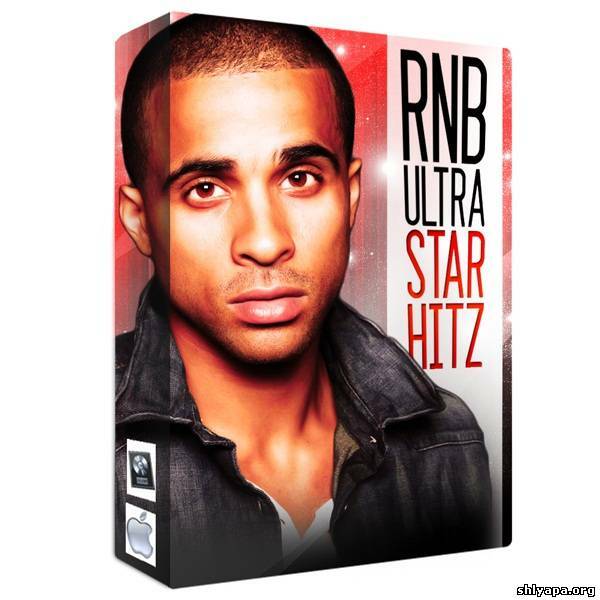 'RnB Ultra Star Hitz' provides you with radio-ready melodies and harmonies, with its multiple, Hi-definition audio loops. These stunning elements can be combined and rearranged in any number of ways and are essential for serious artists seeking the highest quality productions. How many of your favorite songs can you name just from hearing the bass line? It's probably quite a few. That’s because the bass, when played and programmed by the pros, stands alone at bottom of the production where it serves as the foundation of the track! A great bass line can really make a good song even better! A powerful base line can act both as the foundation of the track and as another melodic hook within the track! With his carefully crafted musical examples, Gregg gives you a great sense of how a bass line can evolve as your song builds. He uses musical notation so you can see and hear the bass and how it complements the song. Gregg explains how the bass serves to reinforce the chordal structure of a tune by "landing” on the different notes of the chords. He also explains the powerful relationship between the bass and kick. After all, the bass IS a member of the rhythm section! What takes this bass line theory to even higher ground are Gregg’s thoughtful examples and play-along grooves that allow you see and hear how great bass lines are constructed. Left brain, right brain. Digital Performer 8 is designed equally for both, with insiprational features devised to ignite your creative muse, combined with state-of-the-art studio production technologies engineered for the most demanding, world-class recording and production environments. -The Consolidated Window now supports the full-screen feature in Mac OS X 10.7+. -The behavior for opening the Plug-in Chooser from a Mixing Board insert slot has changed slightly. If the insert slot already holds a plug-in, hold down the Command/Ctrl key while clicking the existing plug-in to open the Plug-in Chooser (instead of clicking the right side of the insert slot, as shown in Figure 67-7 on p. 769 of the DP8 User Guide). -If you use three or more monitors connected to your Mac, and you are running Mac OS X 10.6.8, we strongly recommend that you upgrade to Mac OS X 10.7 for improved stability. -Hardware video output (both DV and MOTU video interfaces). -Sysex messages in 64-bit operation. -Importing sound files and soundbites, including possibly corrupted sound files. -Consolidated window info panels and channel strip. -Scrolling in the Sequence Editor, MIDI Editor, Drum Editor, and Notation Editor. -Meter animation throughout the program. Audiotent bring you the sky-high euphorics and hands-in-the-air construction tools needed for your next PLUR'd out trance production in their latest production pack, Trance Melodics. All You hip-hop, rap, illbient, down-tempo and trip-hop fans looking for a NEW sound - This is what you've been waiting for!! This sample collection will take your music to new heights! THREE top-notch music producers giving you all their flava in one downloadable sample collection! a collection of 25 multi-track construction loop sets. Representing such Hit-makers and artists such as Lil Jon, Young Joc, Young Dro, Mike Jones & Swisher House. These loop sets contain 4-5 parts each of screaming analog lead melodies, thundering bass, live guitar, pianos, strings, and synth fx. Additionally, we have included a 2 track stereo version of each loop for quick auditioning. All of these melodies were recorded through hi-end Neve pre-amps for optimum punch and clarity. These loops are fire! Just add some P5 Audio drums and some vocals and you got a HIT! These music loops DO NOT CONTAIN THE DRUM PARTS!!! 'Melodic RnB Vol 3' from Producer Loops continues this hugely popular series with another superb set of five high-energy RnB Construction Kits featuring melodic RnB loops for your new productions. Inside this beautiful pack you'll find grinding drum loops, captivating piano loops, subtle strings, soaring lead melodies and chord progressions screaming out for RnB or Rap vocals. The Dirty South Houston Edition includes 25 multi-track construction loop sets. All of the parts are separated INCLUDING THE SCREWED VOICES! Yes, you read correct we have included screwed voices in this cutting edge product. Your gonna get separated kick, snare, hi hat, percussion, fx, bass, keys, synth, guitar, and screwed voices totaling 250 individual custom loops. Mix and match loops to created endless combinations. This product IS the sound of major Houston Artists such as Slim Thug, Pall Wall, and Mike Jones! As always we used high-end preamps and converters to give you the professional sound you’ve come to expect from P5 Audio. All Royalty FREE loops are in wav file format, so they can be used in any hardware or software sampler that accepts wav files. 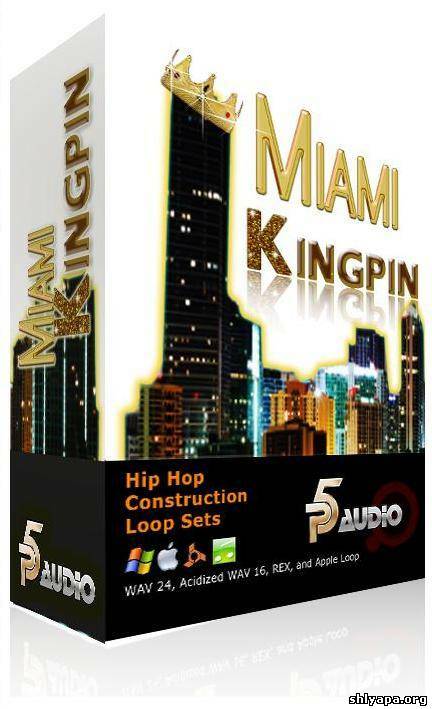 'Miami Kingpin Loop Sets' is inspired by the hit tracks of Rick Ross, Flo Rida and many more world class music producers out of MIA! This Construction Kit contains 25 Construction Loop Sets with 277 individual loops in total! Hip Hop Music has seen Miami artists breaking through and topping the charts. 'Miami Kingpin Loop Sets' presents you with the essence of their sound, and brings on the club action, FLA style. These music loops come formatted for ACID, Apple Loops, WAV and REX2. Make music mafia style and live like the boss!